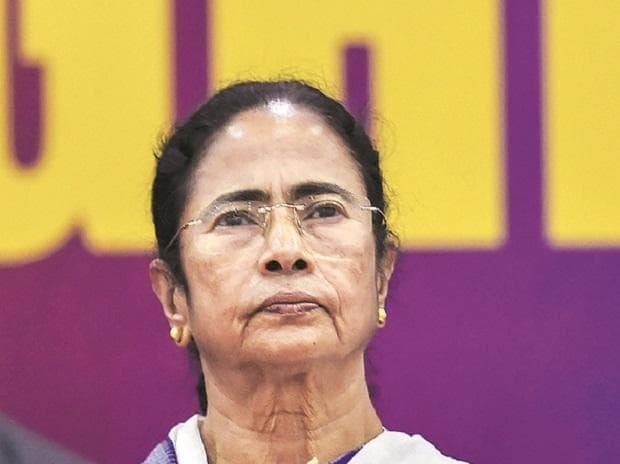 At a time when the Bharatiya Janata Party (BJP) has outpaced the Congress, the Left Front and other parties in West Bengal to become the largest opposition party in this state which can take Mamata Banerjee-founded Trinamool Congress (TMC) head on in the Lok Sabha and the 2021 state elections, divisions within the party, can weaken it from the inside. The problem with the BJP in West Bengal, according to party insiders and political commentators alike, is a lack of leaders and its reliance on defections, majorly from the TMC and the Left Front. In the run-up to the 2019 Lok Sabha elections, as many as five major leaders from the TMC and one prominent frontrunner from the CPI-M defected to the BJP. Incidentally, all of them have been offered tickets for the Lok Sabha elections. BJP sources said that every month, local TMC and Left Front leaders, alongwith their supporters, are joining the BJP, which has led the party’s strength in West Bengal grow manifold to over 4.3 million. Nearly 1600 grassroots leaders and supporters from the TMC camp alone had joined the BJP till March-end. This crossover from the TMC to the BJP began with Mukul Roy, former railways minister and once considered the right-hand of Mamata, changing his allegiance to the BJP in late 2017. After his migration, Roy successfully pulled in several others from the TMC camp to strengthen BJP. While these leaders, who changed their allegiance to the BJP from the TMC had always alleged that their former party was being run in an autocratic manner by Mamata; TMC’s top shots, in turn, blamed these defectors of a poor show in their respective constituencies and BJP’s assurance of a ticket, which prompted the migration. In fact, Mamata, in several of her speeches in this poll season had termed these new BJP leaders not as renegades, but as “dirt of the TMC” and products of a “house cleaning exercise”. After Saumitra Khan, a member of Parliament, who won from the TMC camp, switched over to the BJP this year, political commentators like Sabyasachi Basu Roy Chaudhury said that by December last year, Khan had sensed that he might be denied a ticket from the TMC and his political career could be jeopardised as he wasn’t getting along with Anubrata Mondal, a TMC heavyweight, which led to the change of his allegiance. Considering the history of the BJP since the Vajpayee days, the growth of the BJP in West Bengal had been slow and steady under party old-timers toiling it out since the 90’s. On the other hand, the demise of the Left Front and Roy's entry into the BJP changed the pace altogether. BJP veterans like Chandra Kumar Bose agree that while the BJP was ignored during the times of the Left Front, it gradually became a party to reckon with in the recent past under renewed leadership in the state with such swings of allegiance. However, the entry of these converts into the BJP and the subsequent grant of tickets didn’t go well with the old-timers like Raj Kamal Pathak, who submitted his resignation from the post of BJP’s state vice-president after he was denied a party ticket in the 2019 Lok Sabha elections. "If after serving the party for three decades and holding the post of vice-president do not make me qualified to get a party ticket, it is better to resign from the post," Pathak said. Just after BJP’s first list of candidates was announced last month, numerous party workers and seasoned leaders protested against the denial of tickets. It prompted BJP chief of West Bengal Dilip Ghosh to state that those who were against the candidate list were free to leave the party. With an imminent dissent surfacing and the party’s leadership in the state divided in spirit over these crossover candidates, a section of the party’s leadership believes that fielding defectors from their respective constituencies increases BJP’s chance to win the seat which old-timers haven’t been able to capture. Political commentator Biswanath Chakrabarty believes that the failure of the Left Front to negotiate a seat-sharing deal with the Congress will benefit the TMC as well as the BJP – despite the discontent within the BJP. “I think the BJP’s share of vote will increase definitely to around 35 per cent. But it needs to be seen how much of this vote will be converted into seats for the BJP,” he said. Political analysts believe that with a substantially weakened Left Front and the Congress in this state, the anti-TMC vote will go to the BJP despite the party fielding those candidates who previously raised anti-BJP slogans in their respective parties. need to undergo an indoctrination exercise, understand the party’s values, ethos and ethics before they can be given tickets. “The BJP is a cadre-based party. The Left Front leaders who are joining us have been taught socialism and Marxism which they need to unlearn and learn Hindutva instead – it takes time. For those who are joining from the TMC, they are not indoctrinated with any political principles or theories, but they should also first learn about what BJP stands for before they start leading from the front”, one of the prominent leaders in the BJP said. Although the leader said that the process takes time, but for short-term gains like sweeping the Lok Sabha elections or the 2021 state elections, the other method of offering tickets to strong defectors is the best way. This stance of BJP hasn’t gone well with political analysts from the state. “What the BJP is doing may serve their short-term purposes but may eat BJP from within in the long-run. Hindutva isn’t easy for one to understand and if these new joinees are offered tickets just like that instead of a rigorous process of induction, people with political ambition will view BJP as a party where tickets can be easily obtained,” Roy Chaudhury opined. In fact, some of the senior leaders within the BJP are wary of this risk of overlapping political doctrines and greed for tickets, as well. However, for a disciplined cadre-based party like the BJP, following decisions of the central leadership is the core requisite.